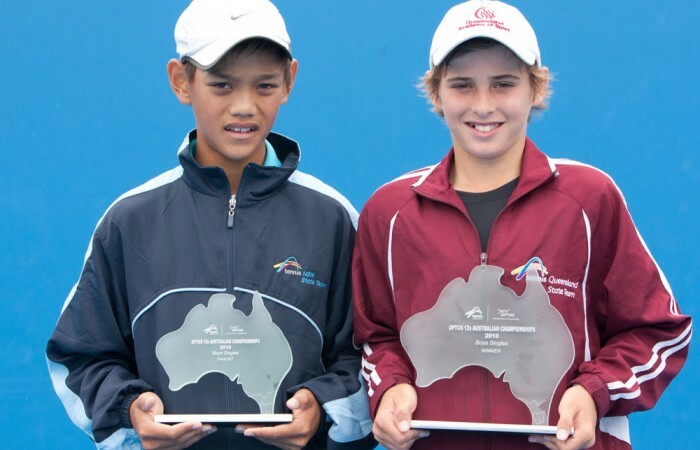 Queensland juniors have dominated the Optus 12s Australian Championships with Oliver Anderson and Priscilla Hon taking the honours today at Melbourne Park. Second seed Anderson had to put friendship and an acute case of big-game nerves aside for today’s final against his doubles partner, Brian Tran. Top seed Tran was on the back foot early as Anderson took the first set 6-3. But the young New South Welshman fought back in the second, taking a 5-2 lead. Anderson, however, wasn’t prepared to let the second set slip away and reeled off the next five games to win the set and the match 6-3 7-5. 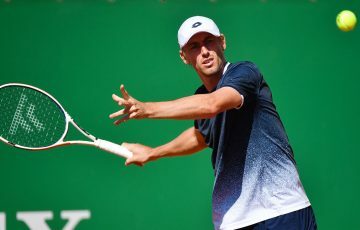 It was an impressive comeback from the young Queenslander who could have easily let the set slip past him and preserve his energy for a deciding set. 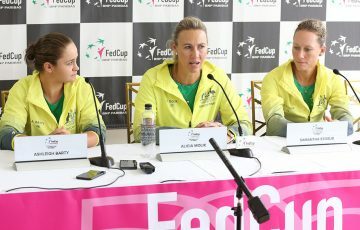 “I just tried to focus on every point and forget what the score is [and] just play my own game,” explained Anderson. The win gave Anderson his second Optus Nationals title for 2010 after winning in Brisbane on Plexicushion earlier this year. 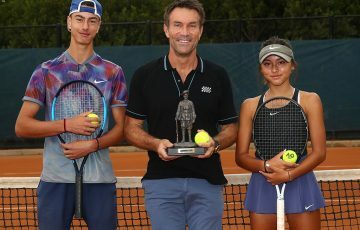 After being presented with his winner’s trophy by Pat Cash’s former coach Ian Barclay, he said he was happy to secure another national title. 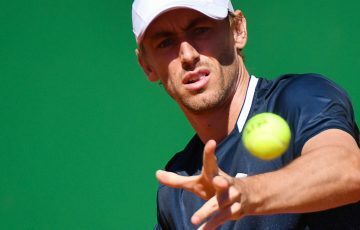 Following his win, Anderson paid credit to both of his coaches, former professional Scott Draper, who has been working with Anderson for the past two years, and Graeme Brimblecombe who Anderson paid credit to for helping him work on his technique and attitude. Draper, who watched the win from the sidelines, said that he was proud of his young pupil’s achievements over the past two months. “Ollie’s done great … he’s won two Nationals in a row, which is a great achievement. “He’s put a lot of hard work in, he’s got stronger and we’ve been working hard on his game. I’d like to see him be a little more positive at times, but that’s a work in progress,” smiled Draper. 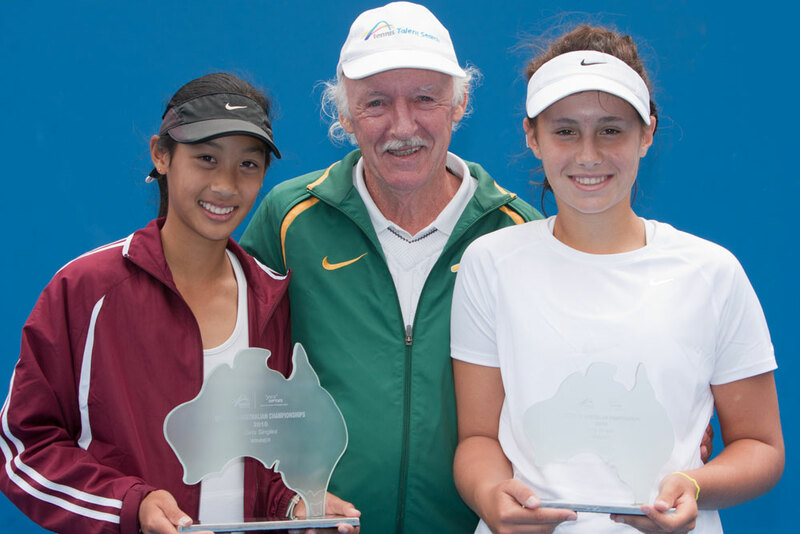 It was a similar story in the girls’ final with the second seed, Priscilla Hon, surprising top seed Sara Tomic in straight sets, 6-4 6-2. 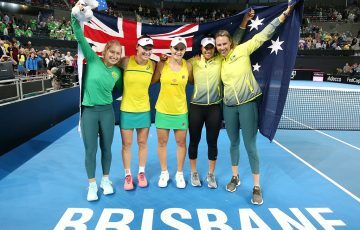 The Queensland girls played out an entertaining duel but it was Hon, who executed a well-thought out game plan, who walked away with the title. 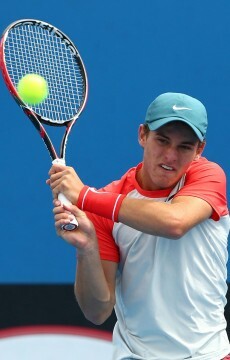 Hon and coach Anthony Richardson devised a plan to counter Tomic’s strong flat ground strokes. 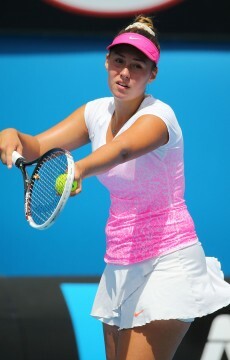 Tomic has had a good year on court, winning four events and was a member of the Queensland team that won the Margaret Court Cup. The win gave Hon her first national title, an achievement the 12 year old said she was very happy with. “I didn’t think I’d make it this far but I did, so I’m really happy,” she said.